If you are looking for a fun, recreational weekend activity that you and your family or friends can enjoy together, then a boat ride with Liquid Lounge is ideal. 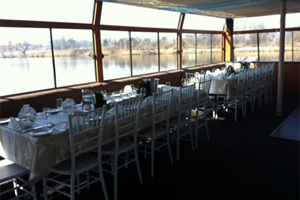 The Liquid Lounge offers very enjoyable boat rides in Gauteng, a very popular Sunday outing in the Vaal. The Vaal River offers a range of fun activities for nature and outdoor lovers to enjoy, including going on leisurely boat rides in Gauteng, without having to drive to far off locations to enjoy activities on the river. 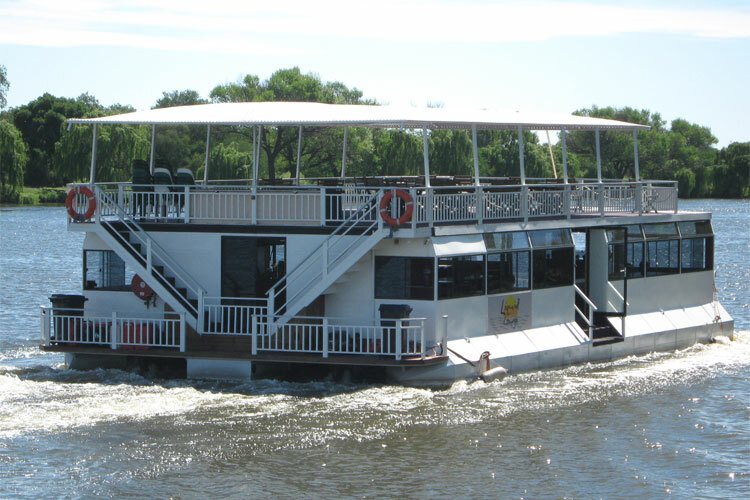 The Liquid Lounge is a popular river cruise boat in Gauteng, cruising down a 52km stretch of calm, navigable water of the majestic Vaal River. For more information about our cruise options, Sunday lunches and other events aboard our luxury river cruiser, contact the Liquid Lounge today. Our cruise boat is also ideal for parties and functions, and can be booked for your event. Talk to our team about booking the Liquid Lounge as your event venue. The Liquid Lounge has become a popular Sunday outing activity for many individuals in the Vaal and rest of Gauteng. This is because a boat ride aboard the Liquid Lounge truly is an enjoyable event. 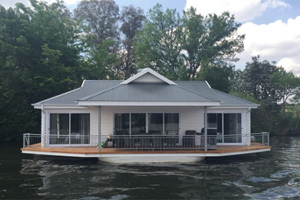 The beautiful natural scenery surrounding the Vaal River, combined with delicious food and drinks, and the company of good friends and family all contribute to a memorable boat ride in Gauteng. The Liquid Lounge is a well-rounded venue, offering all the facilities you will need during your boat trip. 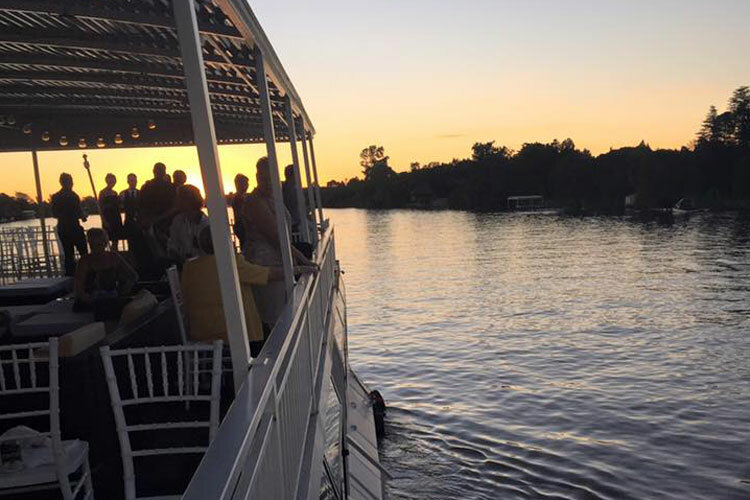 Our river cruiser features an upper sundeck to enjoy drinks with friends whilst taking in the beauty of the Vaal River and the natural surrounds. Our professional team on deck will ensure that you have everything you need, to service for an enjoyable cruise. 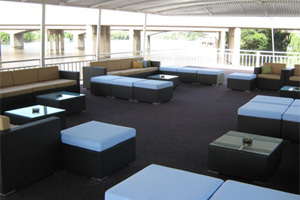 The Liquid Lounge also offers an inside deck, ideal for seated meals and more formal events. 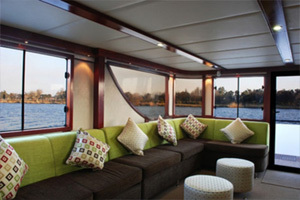 Talk to the Liquid Lounge today to book your boat ride in Gauteng with our luxurious river cruise boat. 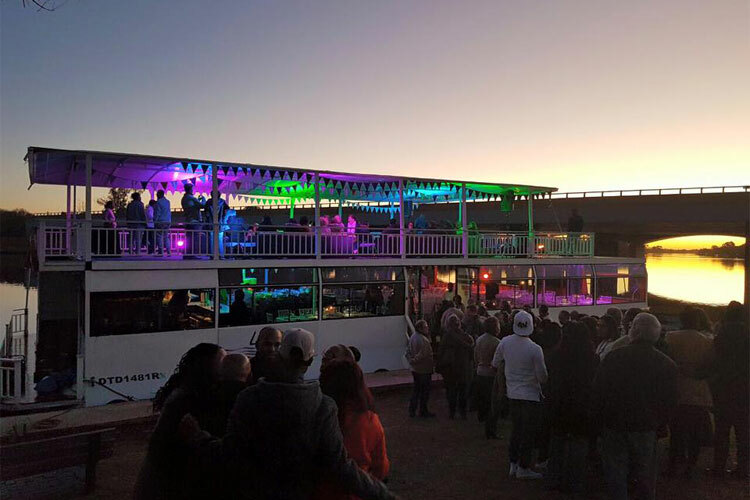 If you’re looking for a unique venue in Gauteng for your party, or function, or simply wish to enjoy a fun day out on the Vaal River, book your boat ride with the Liquid Lounge today. Book your event date well in advance if you would like to book our river cruiser for your function, to ensure that you get the date you desire!